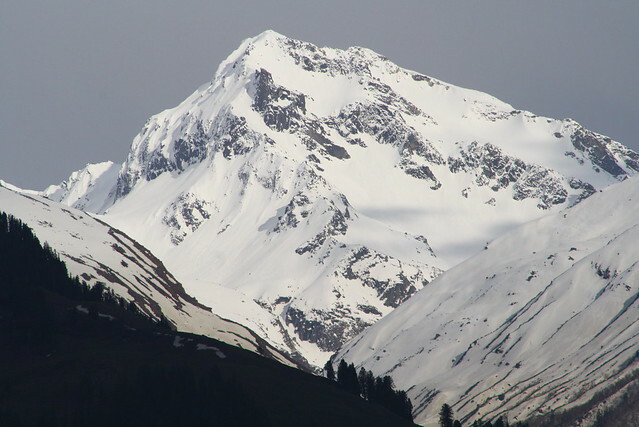 Located at an altitude of 6006 meters, Deo Tibba is one of the highest peaks in the Pir Panjal range. It is also a popular trekking spot. The 6000 meter plus summit is a dream for many trekkers. From the summit you can see other towering, snow clad peaks such as Ali Ratni Tibba, Devachan, Kullu Pumori, Dharamasura (aka White Sail) and Papsura (all near, or above 6,000 m). Deo Tibba also has a religious significance. The local people believe that their deities meet at the peak of Deo Tibba. To reach Deo Tibba, you will have to trek for almost 8 days from Manali. Since the trek gets challenging near the summit, it’s better get the help of experienced guides.